This exclusive programme is set in Verzasca Valley – one of Switzerland’s most beautiful valleys. It was at this location, on the dam, that one of the most spectacular James Bond movies was shot: “Golden Eye” with Pierce Brosnan as agent 007. Welcome drinks and nibbles followed by demonstration jumps by our stunt team. 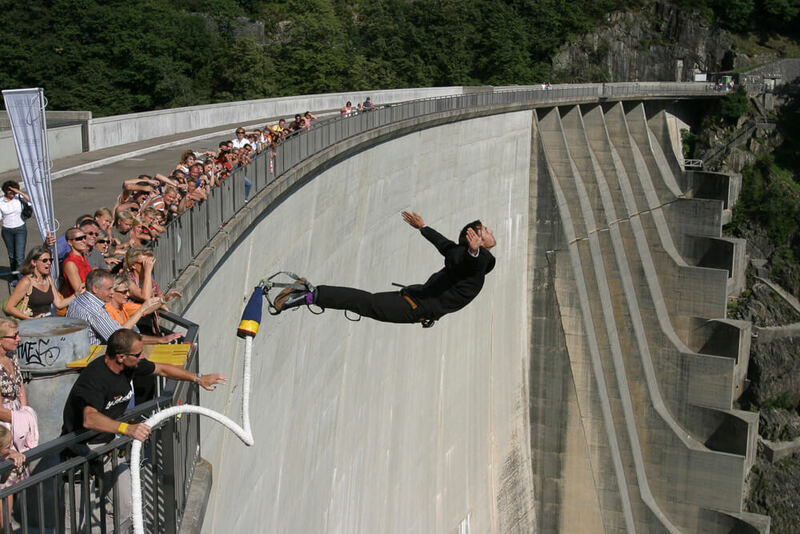 We will show you the most spectacular bungy jumps there are. Naturally, your group’s participants can also slip in to the skin of an 007 agent and do the famed jump themselves. A unique setting awaits you! This bespoke programme can include practically anything. As an option you can combine your VIP-event with any other program such as team challenges and adventure trekkings in the Verzasca valley (can include blowpipe challenge, treasure hunt, abseiling etc.). Or if you like we can organise a lunch at a typical Grotto or Osteria nearby. 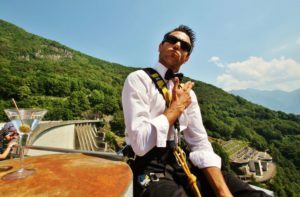 Availability: The VIP event can be booked throughout the season between Easter and the end of October on a daily basis with some limitations on our official opening times of the 007 Goldeneye Bungy Jump site. Clothing: No special clothing required. We recommend comfortable clothing, colours are always nice on photos and film. 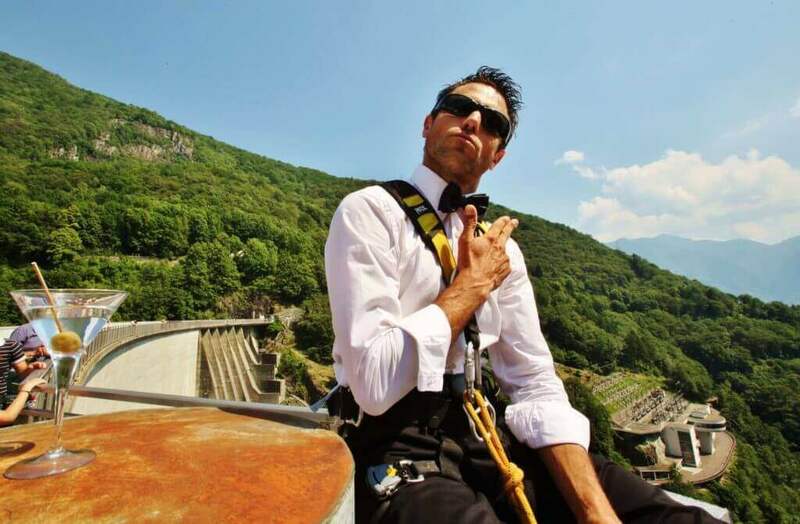 It is possible to book our Bungy site and the team for special film and TV shootings (comercials, documentaries). We have many years of experience with various TV stations – both national and international. For inquires please call us on +41 79 6 007 007 or contact us via e-mail with a description of your project.